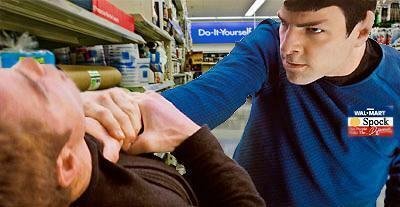 Spock Works At Walmart?. . Wallpaper and background images in the Du hành giữa các vì sao club tagged: star trek 2009 zachary quinto spock. lol it would definitely deter shoplifters.